Due to the recent news that Super Nintendo Worlds at Universal Japan and Hollywood are now under construction, an image recently posted by Ladbible has intrigued us here at OAT. Even though the below image looks like a Disney map with stuff added on and the fact it doesn’t have the right logo or name that Universal have released for the Japan version we’ve taken some inspiration from it..
We’re pretty certain that there will be a Mario Kart and Donkey Kong attraction and a little bit confident that there will be a Pac-Man attraction. 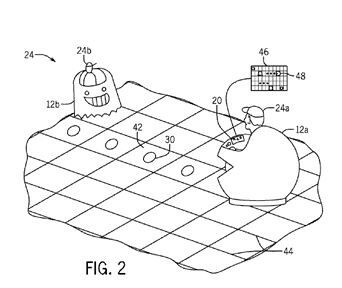 We have also thought about what other IP would be available such as Animal Crossing, Pokemon and Zelda but the image has nodded toward a Mii Plaza and a lot more attractions based on Super Mario such as a Mushroom Kingdom, Luigi Mansion and a Toad ride – all of which are cool ideas but not yet confirmed. Universals own words about the 3 worlds coming to Japan, Hollywood and Orlando show that this is a huge project. You’ll feel as if you’re playing inside your favourite games – in real life. The goal of everyone on this project is clear: to bring the characters, action and adventure of Nintendo video games to life within Universal theme parks. And to do so in new and innovative ways that capture what makes them so special. All of the adventure, fun and whimsy you experience through a screen will now be all around you – in breathtakingly authentic ways. Dan Kilne, when speaking with The Motley Fool raised the same point that has been going around for a few months now about where the Orlando Nintendo world will go. Right now, at the Universal Studios location in Japan, they’re actually already under construction on what’s called Nintendo Land. It’s a handful of rides. They’ve been very secretive. We know there’ll be a Mario Kart ride. Think of it like the Star Wars expansion at Disney, a very immersive land, a big deal. In Orlando, they’ve said, “We are going to build out Nintendo properties.” But they’ve been very cagey about where. The rumors had always been at the original Universal Studios. There’s a kids’ area that’s a little bit lifeless, it would make sense. But then, about a month ago, it became public that Universal Studios is building a fourth gate, another theme park, and they’ve amassed a big chunk of land to do that. So, it’s very logical to think that Nintendo is going to be the cornerstone, the Harry Potter, of this new theme park. And maybe there’ll be something tying it to one of the other theme parks, like the train ties the two Harry Potter Worlds together to help sell multi-day tickets. This is a risk for Universal and a huge win for Nintendo, because they’re getting the licensing fee whether it’s an instant success or not. I like the idea of another Hogwarts Express type ride to connect the new park too! Yesterday Nintendo and Universal held a joint special event to chat a little bit about Super Nintendo World coming to Universal parks in the future, the first being Osaka Japan in 2020. Assuming this is slightly accurate it looks like Super Nintendo World is going to be a lot of fun! Similar to Diagon Alley at Universal Studios, it appears that the iconic green tube will grant you access to the immersive World acting as a passage way from “normal” in to the Mushroom Kingdom. The video also suggest that Mario will great visitors and if the rendering is to be believed the land will look like you’re inside a video game! It also gives the impressive of a multi level environment. The end sequence of the video seems to suggest a sprawling World covering quite a few acres. No official word yet when Orlando will get its own Super Nintendo World but its definitely coming. ‘Tis the season to be jolly and Universal are definitely in the mood to give. Yesterday they dropped some imagery of Super Nintendo World set to open at Universal Studios Japan in 2020 just in time for the Tokyo Olympics. Super Nintendo World will be comprised of expansive and multilevel environments filled with unprecedented, state-of-the-art rides, interactive areas, shops and restaurants, all featuring Nintendo’s most popular characters and games. Development cost at Universal Studios Japan is currently expected to exceed 50 billion Yen. Super Nintendo World will be developed mainly using the park’s current parking area and part of an area designated for future expansion. Katsuhiro Miyamoto, Professor Emeritus of Kansai University estimates that Universal Studios Japan — after opening Super Nintendo World — will bring economic benefits following its opening of approximately 6.2 trillion Yen for the Kansai region, 11.7 trillion Yen for Japan as a whole, and will create approximately 1.1 million jobs in Japan within a decade after opening. Universal Studios Japan will introduce the wonder of the world-class, Japan-based entertainment brand of Nintendo not only to Japan but to the world. Although no further details about what we can expect were given the art work does tell a story. The main part being how prominent Mario is, we’re thinking that perhaps other titles such as Zelda and Final Fantasy wont feature at all!? Just as promised you’ll note colourful, multi-levels that seem to be prime for interactive areas also some character meet and great opportunities (Princess Peach). Obviously it doesn’t mean that Universal Orlando’s Nintendo World will look anything like this and recent patents suggest rides based on Mario Kart and Donkey Kong games. 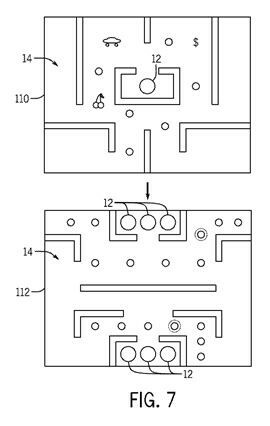 One appears to be a drifting car racing attraction that can be used as a Mario Kart themed attraction and the other is a patent for coaster car technology that can potentially simulate runaway mine cars or more. Whatever happens it definitely looks exciting.